Ford CEO Alan Mulally says he will not leave the automaker for Microsoft and will stay at Ford at least through 2014. Mulally is widely credited with saving Ford after being hired away from Boeing in 2006. 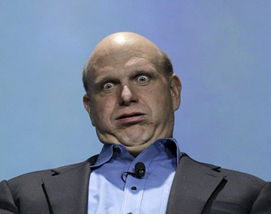 But in recent months there have been numerous reports that he was in the running for the top job at Microsoft, where CEO Steve Ballmer has said he plans to leave the company sometime this year. In an interview with The Associated Press Tuesday, Mulally said he wanted to end the Microsoft speculation. He wouldn’t say if he had talked with the software giant. Mulally said he has no plans other than to serve Ford. Microsoft has not said anything officially about the job search, except for a short post by board member John W. Thompson the week before Christmas, offering a few details about the job search and indicating an expectation that “we’ll complete our work in the early part of 2014”. At least some external executives who discussed the CEO job with Microsoft directors have expressed concerns about being hamstrung if the two men continue to serve on the board, according to people familiar with their thinking. People involved in the CEO search aren't likely talking, & people who are talking aren't likely involved in the CEO search. We’re still holding out for a surprise name to come to the forefront, although there aren’t many people in the world capable of running a company with both the clout and the quirks of Microsoft. About the only thing that we do know, if the AP is correct, is that Mulally won’t be the next CEO, and that we should be finding out who will soon.